Record-breaking cold has blasted not only the mid-west, but a good portion of the country over the last week with temps falling 50-60 degrees below zero. Plus add a gusty wind and the air now feels like negative 60-70 degrees. Here in the mid-Atlantic we’ve been exposed to temperatures in the single digits to which my oldest brother who lives in Chicago stated this was considered heat wave. The polar vortex and global warming are definitely issues for us to think about, and topics I must research to understand fully. My dearest friend Quy bundled up against the cold at the Mosaic Center in Falls Church, and a photo of the frozen trees in our yard at Heath. 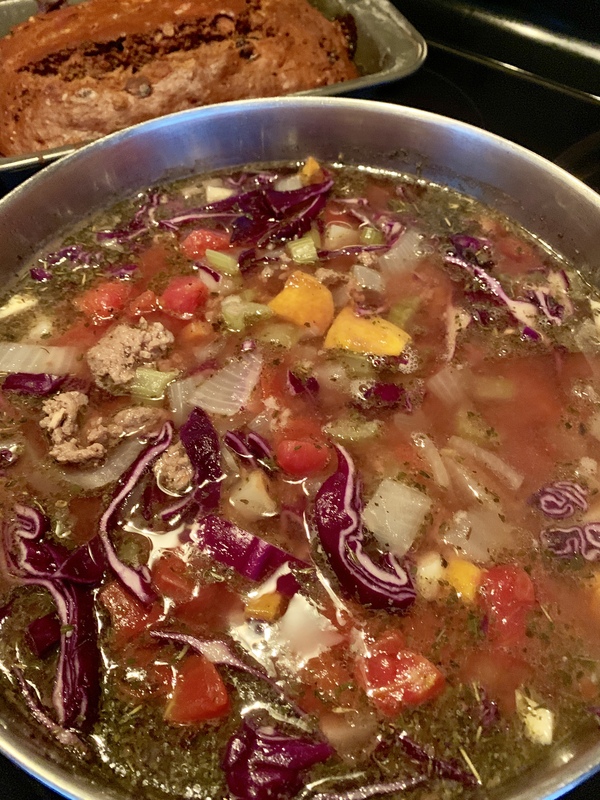 Veggie soup with a fabulous homemade beef broth was made to keep the family warm. I combined broth, tomatoes, red beans, onions, celery, carrots, garlic, red cabbage with thyme, oregano, rosemary, and peppercorns. All ingredients were placed in pot to be slow cooked for the day. 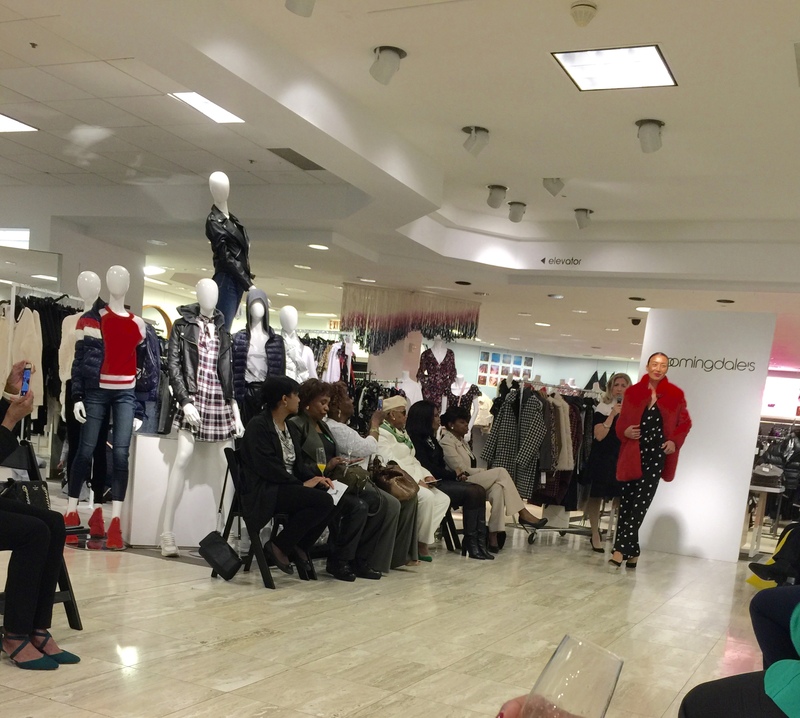 On Saturday a few of us attended a fashion show at Bloomingdale’s in Tysons Corner, Virginia. If and when we purchased items 10% percent of the proceeds would be donated by the Old Dominion Foundation so; they may provide scholarships to students in Prince William County. What I enjoyed was listening to Effie Elkorek the Personal Shopper Manager describe each outfit on the ladies as they glided down the catwalk. She mentioned that it was acceptable to mix patterns and textures during the fall season, as long as they looked good to you. Almost each outfit worn by the models was something I already had in my closet, which is the beauty of being mature in age, your wardrobe is considered vintage.